Welcome to the wonderful world of Chocolate Lab names! Are you struggling to decide what to name your new puppy? Or are you bringing home an adult rescue Lab and want to find a new name for his new start? Girl puppy on board? Check out our huge female dog names list! We’ve been taking a look at some fun ways to choose chocolate Lab names. Helping you to pick the best one for your lovely Labrador. Labrador Retrievers of all shades have captured the hearts and minds of people worldwide. Friendly, lovable Labs come in three hues: Chocolate, Black, and Yellow. Chocolate Labs are simply sensational, cloaked in rich shades of brunette. It’s nearly impossible not to reach out on impulse and touch their splendid fur. Believe it or not, at one point in time, chocolate brown Labs were considered undesirable due to their color. 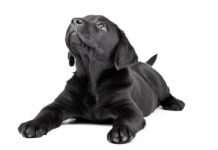 Black was once the Labrador color of choice, and many fine Chocolate Labs have been pushed aside in favor of their more popular counterparts. Thankfully, saner minds prevailed, and today we have an abundance of superb Chocolate Labrador Retrievers to choose from. 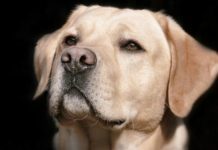 So what is the origin of the Labrador Retriever? 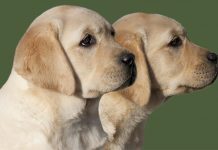 The Labrador breed rightly enjoys its highly popular status due to its many talents, abilities, and favorable qualities. 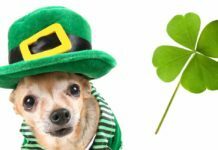 The intelligent and loyal canine is at home as a family dog and equally capable of actually as a guide or service dog, and in the role of a working gundog. Labs are native to Newfoundland, where they were valued by hardworking fishermen as tireless helpers. Labs were trusted with retrieving fishing nets even in the harshest of conditions and trained to haul heavy loads of precious marine cargo. These forebears of the modern Lab were smaller in size. And may have been bred with the hunting dogs of English traders to develop what we consider today as the Labrador Retriever. Modern Labs are a wonderful example of just how capable and valuable canine companions can be. Labradors enjoy a variety of important roles in society, not just as faithful companions and housemates. The acumen and training ability of Labs makes them in demand as service, search and rescue, and therapy dogs. These handsome lads are also exquisite competitors on the dog show circuit and perform brilliantly in their role as hunting dogs. It’s hard to imagine a home life in which the adaptable Labrador would not fit in. Due to their loyal and curious nature, they make an excellent family dog. Most Labs love the outdoors, which makes them the perfect partner for active owners craving a furry friend to exercise and get some fresh air with. 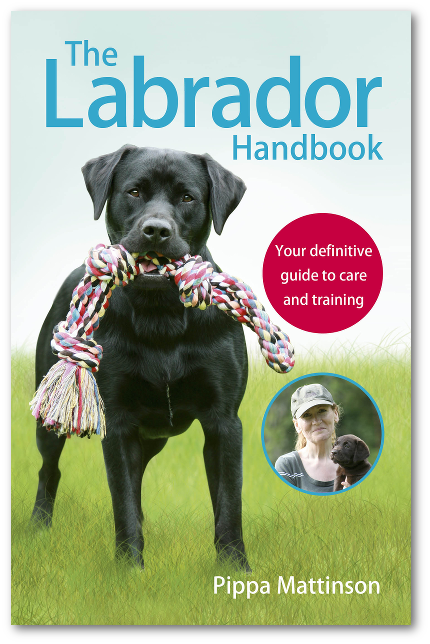 And the gentle, sensitive nature of the Labrador also makes them a solid choice for older or disabled owners desiring a pooch capable of well-mannered companionship. So how do you choose a name for your Chocolate Lab? Such a magnificent creature deserves an equally magnificent name, don’t you think? You can find all the inspiration you need right here—we’ve compiled some of terrific Chocolate Lab names. Do you need a name for your Chocolate Lab puppy or perhaps a Chocolate Lab hunting name? Or maybe you’re looking for the most boy or girl-appropriate Chocolate Lab name, or one that will work for either gender? Whatever type of name you are looking for—traditional, unique, cute, or renegade—you’ll find a variety of names to choose from. 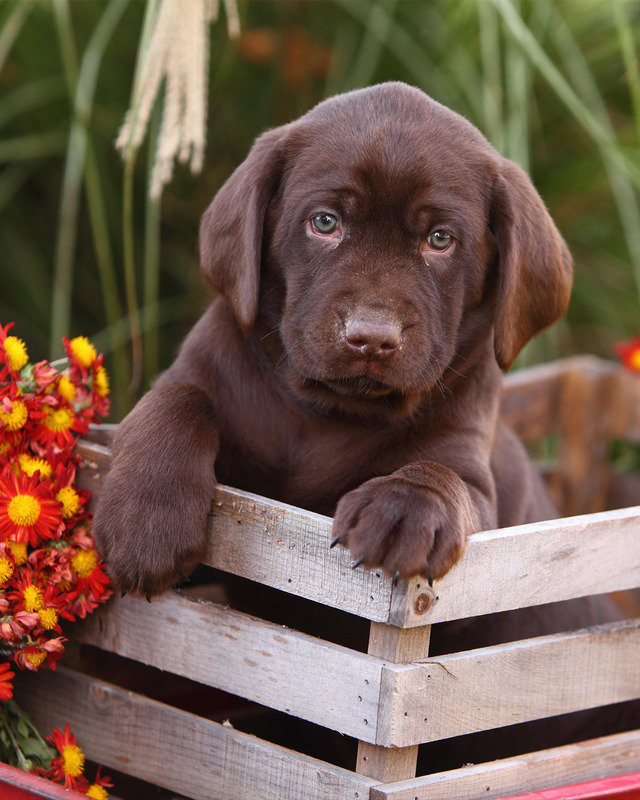 So, if you are looking for a Chocolate Lab puppy name—female or male—read on to find your furry friend’s next moniker! 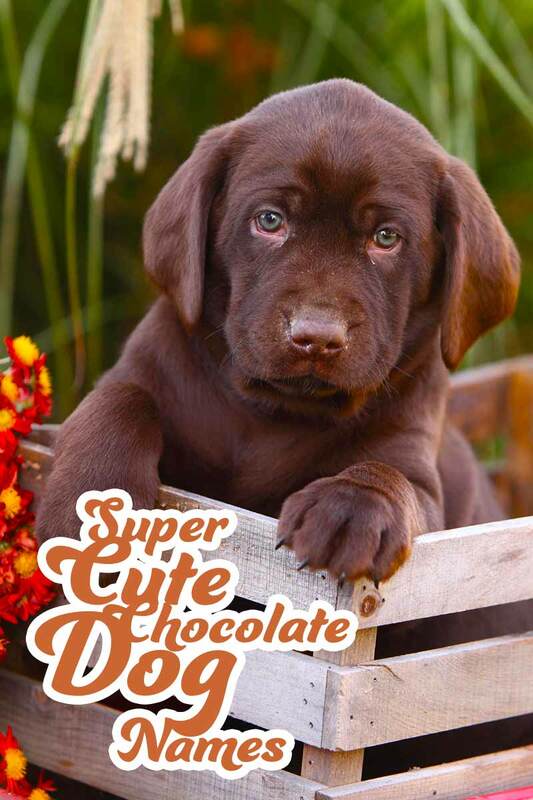 It’s important that the chocolate Labrador name you choose for your pup perfectly reflects her personality. Chocolate Labrador names for a boy pup or adult male may have a different flavor (pun!) than female Chocolate Labrador names. Then again, how about a unisex name like Pat or Lee? Did you do know that tough guy John Wayne’s original name was Marion?! Naming a cute Chocolate Lab with a cute Chocolate Lab name seems like a no-brainer. But there’s a delicate balance—between art and a science—that goes into bestowing the oh-so-perfect forever name on your new bestie. Labs belong to the Sporting group of dogs and no matter what color their color fur is, all Labs sport a double coat. They have an undercoat that is soft to touch and acts as an insulating layer, as well as an outer layer of short, rougher hair. Labs are profuse shedders, and regular brushing will keep your Chocolate Lab’s coat healthy and in tip-top shape. Did you know that Chocolate Labs are sometimes referred to as liver Labradors? If you’re considering bringing a Chocolate Lab into your life, you should find a responsible breeder to guide you through the process of selecting the right dog. 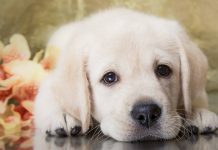 Labs are at risk of hip and elbow dysplasia, as well as eye disease. A responsible breeder will show you health clearances for your pup and you can also ask to see the same for their parents. Even better, meeting your puppy’s parents will give a sense of what your puppy may be like in the future. Bear in mind that pups should not be taken from mothers before 8 weeks. But once you so get your new roommate home, there are a few things to remember. 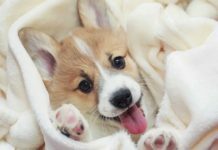 First, puppies normally sleep up to 20 hours a day, and as adults, it’s normal for them to while away the day and night sleeping for hours at a time. This extended sleep time is normal as long as your dog is active and alert while awake, and his eating and bathroom habits remain normal. The AKC recognized Labrador Retrievers in 1917, and the UK Kennel Club did the same in 1903. So, we thought that you might like to take a look at some of the AKC’s favorite dog names. As previously mentioned, Chocolate Labs were not in favor in the early part of the last century. But why not? We have no idea, or what ended up changing the general consensus. We do know that it wasn’t until the 1960’s that the intensely beautiful hue of Chocolate Labs became favorable. 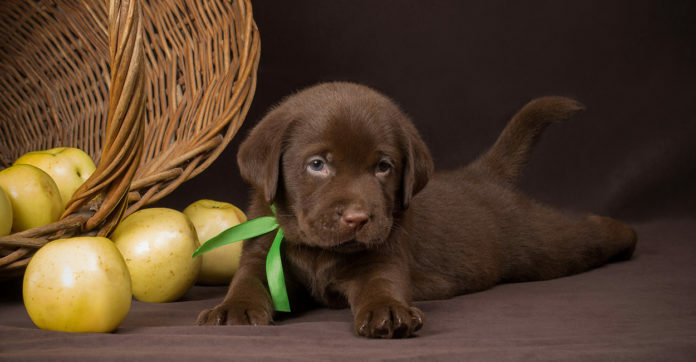 By the way, it was the same people who embraced the once-scorned Lab at this time that made Chocolate the unofficial official name for this color Lab, instead of liver or brown. Today, many dog parents consider the Chocolate Lab the best color. Hopefully, you’ve enjoyed some of the various ideas for Chocolate Lab names. Did you choose a cute, unique, or cool moniker for your Chocolate Lab? We’d love to hear if you chose a name on our list. Or even if you choose an alternative name to bestow upon your Chocolate Lab bestie we’d also love to hear! My little girl was dark chocolate and sweet as sugar. Kinder Joy was my sweetie!!!? Jellybean or Jelly is the best chocolate lab name for a girl ,my Jelly was the BEST chocolate lab ever . Now my white chocolate lab is Gracie-bean in honor of her . Our handsome, fun, loving, wonderful, happy Chocolate Lab was Barkley (officially Sir Charles Barkley). He passed at 12 years old in July 2017. I still miss him every day. Wish people were as loving as Labs. Best dogs ever! We miss our boy, Barkley! I have a Chocolate Lab, he is 14 now. His name is Sir Maximilian or as we just call him, Max. Bentley,…….only Bentley I’ll ever have! We had a magnificent chocolate lab named Sammy Hershey for almost 12 years. He was the most wonderful, loving, sensitive loyal companion ever. We miss him so much. We are most certainly sold on labs, and without a doubt the chocolate was the best fit for us. Sam had so-o much personality! He was a riot, a great snuggler, squirrel patrol, and the life and love of our home. We loved Sam like no other and he loved us. He is forever in our hearts. For those who have never had a chocolate we would encourage you to welcome one into your home and your lives – you will be amazed and your heart will be so full! They change you for good and forever. We picked out a Chocolate Lab for my grandsons 5th birthday. e named him “Gunner” . He is a little over year old now and Jackson and Gunner are best friends. Had a chocolate when I was younger. My dad thought of Griz (grizzly bear) and we went with it. Got another and mom said we have Griz, how bout we name her Koda (kodiak bear). Great dogs!!! Official name of our year-and-a-half male is Samuel Jacob Hunter, borrowing from his sire, Jake Benelli, and his dam, Lady Vienna Huntress. He’s Sammy to us, and he is a totally awesome, loving, energetic dog! Since my husband and I have been together we have always had labs.Im sure like everyone else the amazing stories that we could tell… they all have watched over our family and each one leave a special place in my heart. I currently have a 14yr old chocolate named Casey and a 11 yr old named Jack.. I currently have 2 English Chocolate Labs. There names are Bentley and Becket. Previous to these boys, I had my first two English Chocolate labs, Guinness and Gunner. All of my labs have been the loves of my life. All of them are also related. The first two were full brothers, just one litter apart from same parents. The second two are cousins and also cousins of my first two. I selected Guinness as the name of my first lab because I named him after Guinness Stout beer, a favorite of mine. His brother was Gunner. Bentley, the first of my second pair was named after the British car, the Bentley. He is paired with Becket who was named after Thomas Becket, the Archbishop of Canterbury. The dogs in each pair have a slightly different look. One has longer hair than the other. However, each pair look incredibly alike to the other pair. My labs are all a dark brown color. Prior to my first lab in 1998, a large percentage of the chocolate labs I saw were a lighter milk chocolate color and no where as handsome as my dark labs. They are the color of semi- sweet chocolate. I need to end this because both of my boys are staring at me looking for their after dinner walk. We gave our first chocolate female an AKC registered name of Adelbert’s (my husbands middle name) Sweet Godiva – but to us she was Diva. Ihave 2 female choc.labs .both 21/2yrs.old. shilo & jayda. They can be exhaustig!! But we luv them?? Our chocolate is named Bella – which means “beautiful”. Fits her perfectly. My chocolate lab was Cocoa Bean, although she was often called Cokie and Beanie, too. Our 10 year old Chocolate Lab is Snoflake! It fits her perfectly because she is a silly girl!! Our new little wee man is Murphy! I immediately changed that to Miss Gladys, which is Welsh for royal princess–foreshadowing the life she was about to take on–that of Daddy’s Princess! We have one chocolate lab named Huckleberry “huck” for short. And then 2 brothers that we named Goose and Maverick. Our chocalate lab is named Molly. I named my male chocolate lab Dozer. It fits him perfectly, cause when U throw his ball he bulldozes over anything to get his ball. I named my lab Cleo after queen cleopatra. She is chocolate, a little bossy and very smart. My baby girl’s name is Miss Gladys…Gladys is Welsh and means royalty (princess)…and she believes she is just that too!! We had A chocolate lab named Chip. I would name a chocolate lab GALAXY after my favourite chocolate ??????????? My current lab is Kona. My last chocolate lab was Shokolatoes, Greek for chocolate. Another really unique and fun name we had for our Choclate lab we rescued was Drake. Fit perfect!! Our crazy boy is named Riot! Our chocolate lab is Hershey and our yellow lab is Gibbs as in NCIS. I just named my chocolate lab puppy Abby from NCIS because she is a spunky girl! So, where’s Cadbury, Hershey, Galaxy, Flake, Minstrel, Yorkie, Cocoa, Bournville, Oreo, – you get the idea! My chocolate lab is named Grizzly. He has brindle legs and a white tipped front paw. We named ours after a good Scots Whisky!